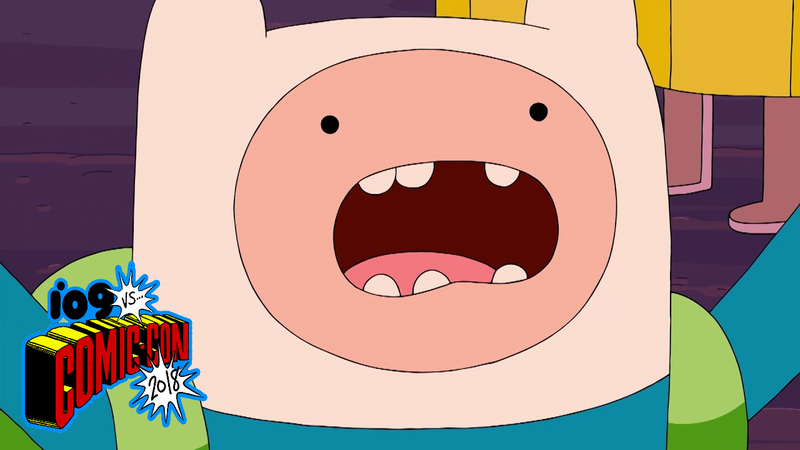 Finn the Human, freakin’ out a little. All adventures have to end, and this one looks like it’s going out with a full-scale war. The war, between Princess Bubblegum’s Candy Kingdom and the kingdom of Gumbaldia, looks to be the situation that spurs Finn the Human and Jake the Dog, adventure friends until the very end, onto one last quest. After ten seasons of evolution as one of the smartest cartoons on TV, this will be the last hurrah for Adventure Time, which along with titles like Steven Universe has created a new era of great animation at Cartoon Network. Check out the trailer, which premiered at Comic-Con today. It’s got gum, and goo, and bacon, and pancakes.